As we’ve mentioned a number of times, Twitter has been gradually tip-toeing further and further into the media business for some time now. It has already become a real-time newswire for many, a source of breaking news and commentary on live events, and now — with the launch of curated “hashtag pages” like the one it launched late last week for a NASCAR event — it is showing signs of becoming a full-fledged editorial operation. It may not be hiring investigative reporters, but the areas of overlap between what it does and what media companies do is growing, and so is its attractiveness to the advertisers that media entities desperately need to hang onto. The NASCAR page may not seem like anything to be concerned about, since it appears to be just a typical grouping of tweets collected by hashtag. But there is editorial control behind it as well as algorithms, with an editor choosing which messages — including photos, videos and commentary from NASCAR insiders — were highlighted during the event, and which streamed by unacknowledged. And Twitter has made it clear that this kind of effort is not aimed primarily at brands (although it almost certainly will involve them at some point) but is intended for events. In other words, for the news. Twitter revolutionized journalism once before, and news organizations responded with the social media editor. Now it seems that the social media editor, the reaction to disruption, could be a victim of it. 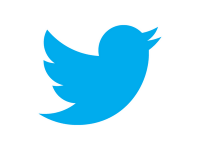 Is Twitter trying to put media companies out of business, or even social-media editors? Probably not, at least not directly. But in a way, it’s formal intentions don’t really even matter — it could easily wind up doing so by accident, in the same way that Craig Newmark accidentally decimated one of the main cash cows of the media industry when he disrupted the classified advertising business. That wasn’t his intention at all, but he accomplished it nevertheless. That’s all well and good, but there comes a point where a partner can start to look like a competitor if you tilt your head the right way, and I would argue that Twitter is nearing that point. Facebook is also a partner for media companies who use it to host their comments, or have brand pages there, or rely on the social network to promote their work through “frictionless sharing” apps. But at times it can seem as much like competition — particularly for users’ attention — as it does a partner. That’s part of what I think blogging pioneer Dave Winer means when he warns that media companies should not see Twitter as their friend. To the extent that Twitter is offering news consumers of all kinds access to the information they want — regardless of whether that information consists of “user-generated content” or links to other media outlets — it is a competitor. And to the extent that it can offer better curation or aggregation or filtering or targeting of that content, it will win. And that kind of targeting isn’t just a threat to the information-management or journalistic aspects of the traditional media industry, as is every other digital-native media source such as The Huffington Post or Buzzfeed. It is also an arrow that is directed at the heart of the financial underpinnings of the traditional media business — namely, advertising. Twitter is already trying to get better at targeting and curation of topics and content, whether through its new “tailored trends” or the emails it now sends out that are powered by its Summify acquisition of earlier this year. Those skills — and the benefit of hosted curation like the NASCAR event — are just as applicable to advertising messages as they are to any other content, if not more so. And that type of targeting is the thing that newspapers and other mainstream media outlets are not good at (to put it mildly). Anyone who is better is clearly a threat. So partnering with Twitter, and using its tools and services as much as possible, makes a huge amount of sense for media companies — but so does maintaining a healthy scepticism about who is getting the majority of the benefit from those services, and how. I don’t visit any news site. I just trust people on my Twitter time line. In each case, the “fear” was an expression of nostalgia for familiar work-flow patterns, and reluctance to take risk by innovating. For counterpart, we’re offered “investigative” jorunalism — a marketing term usually used to wrap publishers’ ideology when a reporter is sent scouting beyond the he-said-she-said press-release journalism most career journalists rely on to accumulate their fair share of SPJ awards. Here’s a hint for traditional media – hire a few of us citizen journalists, pay us a modest wage competitive with the janitors at the public university and don’t cut off access to digital resources we’re using when on assignment. Face the fact that, when we accumulate data, we’re not trying to one-up the old business editor but actually trying to understand a story that wasn’t well illuminated in previous tellings. That’s not investigative journalism. It’s not “computer-assisted reporting” or data journalism. It’s just doing a job. Or don’t. And maybe we’ll go join the 15 percent of all Americans who use Twitter, a small fraction of which sometimes get news updates and an even tinier fraction of which who work in the news business and crow loud and long about using Twitter on their iPhones at the airport. Yeh, you’re important. Get over it. Self-importance is unbecoming of a journalist. It’s not the technology that kills a medium; it’s the lack of quality content. If you put out a good product people will want it no matter what. Adele probably doesn’t think CDs are dead, but I bet that mediocre band from your hometown does. The New York Times isn’t going anywhere, but your local rag probably is – or has. The problem isn’t new technology. It’s lack of pride, laziness and cheapness. Twitter does two things that the traditional media model doesn’t support: it collects a number of reports from multiple sources for readers to get a wider perspective and it allows individuals to follow multiple individual sources. I don’t follow a media outlet or two any more, I follow dozens of reporters. The digital age is ending the aggregator role, individuals want to choose the authors and reporters they follow, not the bundle created by a media company. With access to the world, individuals interests and perspectives have expanded, a local newspaper or television station can’t lock in an audience through monopoly power of distribution or area common interest. This is old news and I disagree. Humbly predict that trad media, with brand-name creds and in-depth experience, will hire mercenary Twitterers and disseminate next gen news in the in-depth socially innovative way we’re been waiting for. Who you gonna believe: a Tweet or a NY Times Tweet? Twitter is â€œThe Accidental Media Companyâ€. It never intended â€“ and it still doesnâ€™t intend â€“ to become a media business. The last thing they need to do with this simple but clever model is to become mainstream, lose their random nature. Let the BBC curate mounds of dead information. Twitter exists in the chaotic moment and thatâ€™s its huge appeal. No wonder Twitterâ€™s CEO denies they are a media company. Admit you are, admit liability. During the Ryan Giggs â€œissueâ€, Twitter was flooded with his name. Twitter responded by saying they were merely software providers. They did nothing to take his name down, they offered no protection advice or guidance. If some naughty people wanted to break the law then so be it. They had no liability. That simply wonâ€™t stand any test if Twitter wants to develop itself as an organised media outlet even at an event level such as the NASCAR tie-up. The stalking of stars by trolls and haters on Twitter is manifest. Nicola Brookes from Brighton, an ordinary citizen, has shown in her success with outing the haters on her Facebook account, that the courts are not going to simply allow mass communicators to plead the fifth. Any aspirations to become a fully grown-up media business will be a huge undertaking with monster cost and even more monster responsibility. Why bother? Johnston Pressâ€™s CEO, former BBC/techie/social media background, is lopping the heads off Editors with gay abandon as he turns old media into Mumsnet. Or is it Twitter? Sure, reporters have Twitter accounts, some with really quite large followings. But deep down they resent Twitter because the stars can now bypass the traditional media and speak direct to their audience. Andy Murray started it half a dozen years back over the Centre Court roof. Did he or did he not like it open or closed. Did it affect his play. The Press was full of it. He killed it in one tweet saying he wasnâ€™t fussed either way. Game, set and match to Murray and the Press were left high and dry. SKY Sport News (brilliant) is chock full of star tweets as a primary source of breaking news. Those of you who have no experience of sports reporting may find it extraordinary but true that reporters simply canâ€™t speak to star players unless they are wheeled out at a press conference. They donâ€™t have their numbers or their e-mails addresses. Twitter has become their prime source of direct star comment. It didnâ€™t revolutionise journalism. It has given a voice to the world be it the musings of Hollywood stars or the oppressed of the Arab Spring. An unstructured and engrossing voice â€“ but itâ€™s not journalism. And it wonâ€™t â€œdo a Craigâ€™s Listâ€. Not in the same sense that classified advertising was made for online. I will grant that Twitter has become another information source which you can select and filter. I am following the plight of Rangers Football Club and its manager today. It is trending on Twitter, I have read through all the comments and will go back again today. But I will ultimately look to mainstream media to give me the facts. (Amazingly the girl from SKY Sport News is on there giving the news ahead her own station). The Twitter strategists have a fascinating task. Do you simply let the single-cell model (long form texting, no real attempt to influence or guide, software provider) or do you believe your own hype that you really â€œstandâ€ for something. And by the way, how do we get to the $1B of annual revenues that we all hear about because promoted tweets (whatever they are) wonâ€™t cut the mustard. The Media arenâ€™t afraid of Twitter. They have got plenty else to fear. Last week I was bombarded with a bucketload of twee bollox about the new bird design. The Twitter people sound like caring, home baking types. Forget grubby media â€“ they should stick to their knitting, keep it simple, come up with a genius monetisation plan. What is also happening is that reporters who submerse themselves in the twitter world are effectively becoming virtual publications which have little or no connections with the media organizations said reporters work for. For a good example Matthew compare the twitter output and references of your old colleague at the Globe and Mail Andre Picard with what the paper produces. See @picardonhealth. Following Andre will tell you more about what’s daily hopping in medicine than reading the newspaper in either its print or on-line format. So in a kind of perverse way what Andreâ€™s tweets teach people is: Donâ€™t Read The Globe And Mail. 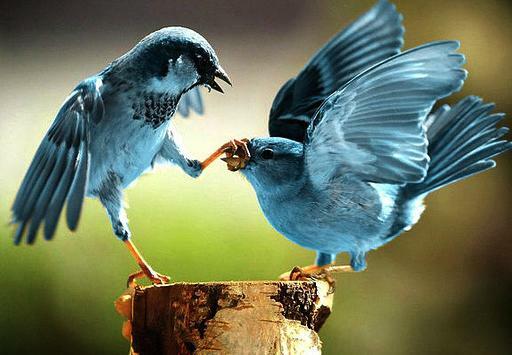 Twitter is no more a legitimate source of news than the neighborhood gossip. Forcing newspaper executives and editorial chiefs that this is the only way to get breaking news to readers is all part of the game to undermine real journalism, to reduce the information to the public to a few abbreviated phrases, to keep people from seeing thoroughly vetted and investigated stories. Forcing reporters to set up a Twitter account and immerse themselves in the practice of tweeting just adds more work to an already beleaguered section of the print media workforce. If editors are so gung-ho about feeding the less intelligent people with tweets then perhaps the editors should do it themselves and leave real journalism to reporters. The last time I checked the editors aren’t in the field, on the phone with sources, interviewing disaster victims, etc. Editors are the ones with spare time. I’m curious about the criteria Twitter uses to “filter” and “curate.” Traditional media already uses filtered and curated streams such as AP and Reuters, so having another biased stream wouldn’t be anything new for them. The most interesting thing about the twitter stream is that it hasn’t been filtered. I’d rather just look at the raw hashtag stream and curate for myself. I hope the raw stream will still be available. For me “classic” Twitter has two benefits, I can see what everyone is saying and I can join the conversation with the same chance of being heard as anyone else. Well said! One suspects that the curation of a cluster of related hashtags might well be auctioned off to another publisher. Twitter itself might then be a meta-publisher, and other publishers would vie for the right to be seen participating in, possibly spinning, the hashtag stream. Journalists need to look at what happened to Encyclopedias – The publishers didn’t find a way to change their revenue model away from selling the physical “book” to selling the “information”. Journalists need to proove that their information delivery has higher value than the citizen reporters on the ground. Probably is a matter of genarations, but in my case (I’m 48) I just entered once to Twitter to find out scarce ideas in a dynamic-unlinked paragraphs. As an advertiser of course I would be present there “just if” and to reach the new generations, but if my brand is luxury I would take care of my target who would be -by age and purchasing power- in traditional media, no doubt. What this means is that traditional media has to go more on the route of quality content creation with well thought out commentary & expert analysis, instead of just “breaking” news and “curating” content. News is a commodity. Analysis is not. I hardly visit any news sites anymore unless somebody on Twitter is pointing me there. Couldn’t agree more with you! When it comes to breaking news, it stands out. And now with the curated hashtag page, Twitter can give competition to other traditional news outlets. Frequently, Third party app developers were kicked by Twitter by adding new features on its service. So, I think Twitter can kick mainstream media anytime, and become a Media company. This headline belongs in 2009.